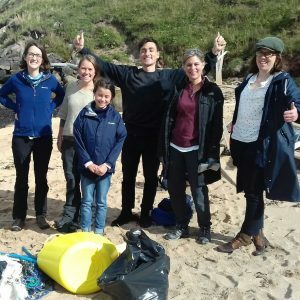 The Marine Conservation Society (MCS) says its Great British Beach Clean was the biggest mass participation beach clean and survey event Scotland has ever witnessed. Almost double the number of volunteers took part in 2018 compared to last year; including a team from Fidra. Across the UK 15,000 volunteers took to the beach including those who took part on the Chanel Islands and in the Northern Ireland. The Great British Beach Clean, which took place 14th -17th September 2018, saw volunteers remove 2,503kg of litter from Scottish beaches. In total, 75,807 litter items were picked up along the 15,680 metres of surveyed coastline. Cotton buds were found in greater numbers in Scotland than the rest of the UK with 36 found for every 100m of Scottish beach surveyed; this is up from 29 per 100m last year – the second highest number found during the last decade and almost double the amount compared to the rest of the UK. When averaged out across the whole of the UK involved in the survey effort, cotton buds were found to total 21.1 per 100m of beach surveyed. These results show a decrease from last year, where 26.7 were found per 100m, but is by no means a clear indicator of overall reduction. The most frequently found items on Scottish beaches were tiny pieces of plastic (like nurdles and microplastics) and polystyrene. More sewage related debris (such as improperly disposed of items like nappies, cotton buds and wet wipes) was found on Scottish beaches than anywhere else in the UK. Plastic stemmed cotton buds have consistently been in the Top 10 list of finds on UK beaches over the last 25 years. With cotton buds marking the trail from bathroom to beach, the Cotton Bud Project has been urging members of the public, NGO’s, cotton bud retailers and manufacturers to respond to the UK Government’s consultation on proposals to ban the sale and distribution of plastic stemmed cotton buds in England. 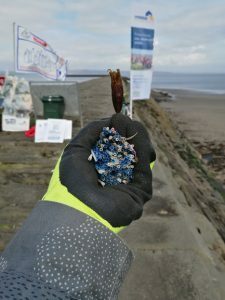 Earlier this year the Scottish Government announced a ban on the sale and manufacture of plastic cotton buds, which was followed by an overwhelmingly positive response to a similar consultation they launched in June after seeing data from Marine Conservation Society’s (MCS) Great British Beach Clean events and the evidence provided by Fidra’s Cotton Bud Project. Using MCS data, the Cotton Bud Project highlighted to industry the widespread issue and provided clear science based supporting evidence for the negative impacts marine plastic pollution has on our environment and its wildlife. This evidence-based engagement with major cotton bud retailers and manufacturers persuaded industry to change from plastic to paper – a key element helping Scottish Government make this announcement. 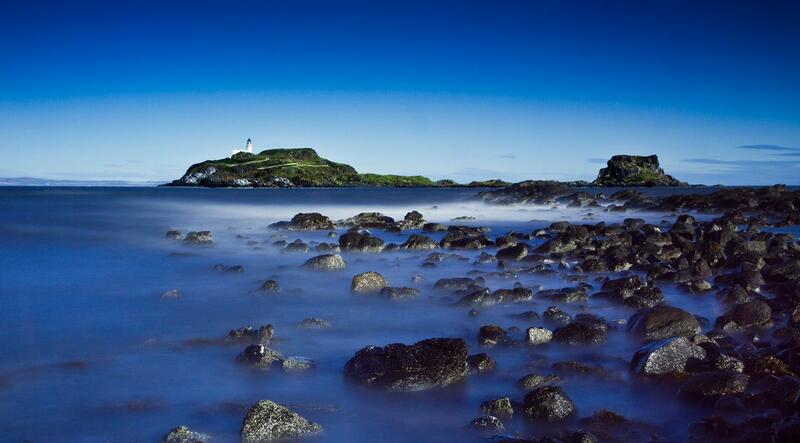 MCS says Scotland and the rest of the UK cannot beach clean a way out of this marine litter crisis and we agree. Following the iconic BBC Blue Planet II series, Drowning in Plastic documentary and Sky’s Ocean Rescue campaign, we now know the damage our ‘throwaway’ culture has done to our seas and that we urgently need to reduce the amount of plastic we produce. Catherine Gemmell, MCS Scotland Conservation Officer, says the support from volunteers in Scotland was overwhelming and highlights a monumental turn in the tide on awareness of beach litter: “I am always in awe of the incredible people who give up their precious time to help us clean and gather important data on our beaches. This year left me speechless, but not our volunteers! They tweeted, shared, instagrammed, talked, cleaned and surveyed to such an extent that our social media feeds were and still are filled with their work. Finally, beach cleaning is mainstream and at MCS we couldn’t be happier – it’s what we’ve been working towards over the last 25 years.